I'm tryin to create a Windows AIO Media (All In One), containing Windows 7 and XP. 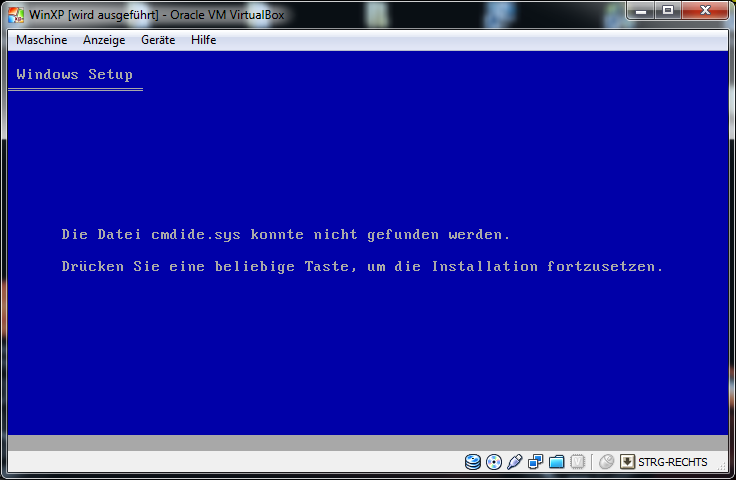 I created the Win7 Disc, containing x86 and x64 Versions of Win7, and also the x64 Recovery Console. The hard part is Windows XP. I created the Image of Windows XP (Home and Professional) like in flyakite.msfn.org, but it doesn't work. After selecting the Windows XP entry in the bcd-file, it boots but setup doesn't find biosinfo.inf and exits with code 14. Both XP Discs are x86 and SP3. D:\AIO\all.txt contains a list of all files in the DVD Directory, but all XP-Related content is moved to the first place to ensure that the content is within the first 2 GB of the image. Did you verify sort file? Which LBA goes to biosinfo.inf? ISOBuster free part list ISO9660 LBA. Which XP version is missing biosinfo.inf? List true error message. Which file name exist at hard disk? Name full path, and respect case names. Yes, I hexedited both setupldr.bin's (HOME and PRO) and replaced every i386 with PROF respectively HOME (which are the directory names of the bootfiles). Well, I created the sort file and it seemed to work, although the creation time of the .iso was a lot longer then without the -yo parameter. \PROF\biosinfo.inf has a LBA of 36868 and \HOME\cmdide.sys (see my answer of your next question) has a LBA of 33658. I will and report after trying. Edited by Obi-Wahn, 12 August 2012 - 03:04 PM. 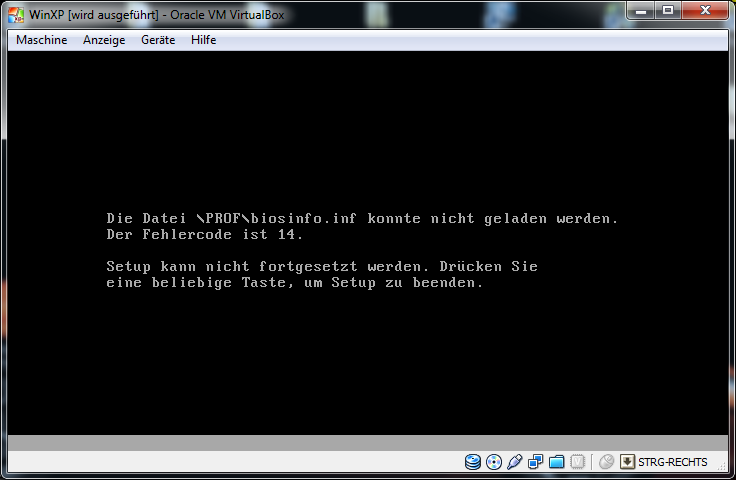 Allright, I tried the changed switches from oscdimg, and even without the filelist from the -yo parameter it works now.